SURIGAO CITY, April 30 (PIA) – Surigao del Norte Governor Sol Matugas has called for solidarity among constituents in its venture to keep communities safer through Science, during the launching of “Iba na ang Panahon: Science for Safer Communities” campaign by the Department of Science and Technology (DOST) held on Tuesday at the Gateway Hotel, this city. “We also call for all individuals here to be open to the things we will all be hearing and perceiving in this activity, and to be fruitful in translating everything into actions down to every community. The best thing to do is to be ready as an individual, then together, we can all be ready as a bigger community,” directed Matugas. Matugas, further said the effort of saving lives as the most important thing that we pursue in any of the related disaster management activities will never go to waste. “We will save lives, and at the same time, what we will have to invest in risk management will reduce the adverse impacts on life, property, and our economy,” she added. She also emphasized that Climate Change is a universal condition but we can all be prepared with science as our weapon. “It is our delight to be part of this highly relevant activity, as we gain knowledge on the available scientific tools and methods to equip our communities attain safer communities by minimizing if not preventing altogether the occurrence of disasters,” expressed Matugas. SURIGAO CITY, Apr. 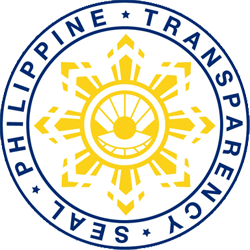 30 (PIA) – The province of Surigao del Norte (SDN) through Gov. Sol F. Matugas and Department of Education (DepEd) SDN Division, in an agreement with the Department of Science and Technology (DOST), was awarded with a refurbished 32-seater air-conditioned bus specifically designed to operate as a mobile classroom with 17 brand new computer notebooks and a liquid crystal display (LCD) projector aptly called Mobile Information Technology Classroom (MITC). This was revealed during Tuesday’s first day of launching of the Iba na ang Panahon: Science for Safer Communities held in this city. Apparently, the MITC innovative project is highly relevant in strengthening the drive for the integration of science and new technological discoveries in the awareness campaign of climate change. Gov. Matugas said that it is imperative that everyone should learn how to explore the immense capabilities of information and communication tools. The MITC facility can be moved from one station to another with relative ease and can be deployed at the shortest possible time. It also features an on-board generator set. It is equipped with the latest catalog on educational videos and presentations on digital format which can be viewed in a wide screen complete with surround sound and public address (PA) system. The bus is also assembled with cushioned seats with individual foldable work tables and soon activates a wifi network. MITC is a mobile learning center for educational purposes where useful information can be availed. All public schools covered under the DepEd Division of SDN may benefit from the MITC services. Accordingly, the use of this mobile is free, provided that related expenditures should be shouldered by the local government units where the district is located. Pupils, teachers and administrators can join especially those who need ICT training. Members of the community can also be invited to join. SURIGAO CITY, April 30 (PIA) – First Congressional District of Surigao del Norte representative Francisco T. Matugas acknowledged the importance of science and technology in every human life during the Iba na ang Panahon Information, Education and Communication (IEC) campaign here. “Iba na ang Panahon: Science for Safer Communities” early warning, early action campaign is very important for today as the world has drastically changed over the years, said Cong. Matugas. “Science makes us accomplish things a lot easier that we can hardly live without it," Matugas added. Matugas said, Science just like a coin has two sides – it can be a weapon of construction, or destruction. “We utilize Science as defense for the on-going battle with the various natural disasters. The Iba na ang Panahon IEC campaign, according to Matugas is a very timely event as we all see the dire need we have for ways and means on how we can address global issues such as disaster reduction in the context of climate change adaptation. “We have heard so much of climate change, learned of its causes, effects, and been very familiar with how it has already disrupted the usual patterns of our global meteorological conditions,” Matugas said. It is not only us who suffers, but is a worldwide picture of how the entire globe as one community has become threatened with intensified disasters, he added. Matugas also said that the past catastrophic events we have witnessed in the different parts of he country and even in all the other areas in the world, as brought about by forces of nature have taught us to pay attention to preparedness and other significant details relating to disaster reduction and adaptation. “The best thing there is for us to do is not only to think of ways on how we can prepare the people, empower them to face the threats of any natural calamities; there is stronger call for participation, coordination, and common understanding from the national level down to the simplest unit in our communities to adhere on the plans and programs of the government to aid us in meeting the challenges,” Matugas said. Matugas also told the participants that they are privileged in attending the IEC campaign for they will acquire wisdom and insights. “Let us all be equipped with the things we ought to know, apply, and share to the rest of our people in ensuring them that Surigao del Norte, and the whole of Caraga region has become safer with science,” Matugas added. “We always be thankful to DOST for this wonderful chance of providing us the necessary opportunity to be empowered with how Science becomes an integral part of our daily battle and adaptation with the changing world,” Matugas said. BUTUAN CITY, April 30 (PIA) - In support to the Labor Day Celebration on May 1, 2014, Caraga Region’s Technical Education and Skills Development Authority (TESDA) is offering health and wellness services. This development came after TESDA Caraga regional director Dr. Florencio F. Sunico, Jr. committed to offer free services on Labor Day as a gift to all workers, especially the mothers. “This is an opportune time for the mothers to take a break and pamper themselves by enjoying massage therapy and beauty care for free,” Dir. Sunico said. The official also said this is TESDA’s way of thanking the stakeholders and the general public for the trust and confidence they have with the agency. “We are thankful to our stakeholders and the general public for their trust and confidence to us… and this is one way of thanking them,” Sunico said. In a related development, Fe Gomez, TESDA-Caraga regional focal of the Gender and Development (GAD) said this activity is also promoted by the Regional GAD Coordinating Committee (GADCC) as this will benefit the women who want to experience pampering themselves. “This is a good treat for the women especially to the mothers by showing our appreciation and care to them,” Gomez said. Gomez further said for beauty care, TESDA is offering manicure, pedicure, facial massage, foot spa, and hot oil, while in the wellness, a body massage will be offered. Massage therapists from the Butuan Manpower Training Center (BMTC) while beauty care attendants from the Agusan del Sur School of Arts and Trades (ASSAT) were tapped by TESDA to perform the said services. The services will be conducted at the activity center of Robinsons Place-Butuan, together with DOLE-Caraga’s Jobs Fair. DAVAO CITY, April 30 (PIA) - Trade and economic ties between Mindanao and Indonesia expect to get further boost with the opening of the Davao-General Santos-Tahuna-Bitung sea route this month that will operationalize shipping services between Mindanao and North Sulawesi. An agreement to operationalize the shipping service was sealed in Jakarta on April 11 by the representatives of the Indonesian shipping line PT Kanaka, the North Minahasa Chamber of Commerce of Indonesia, Philippine-based cargo company ARREE Freight Express and the Davao City Chamber of Commerce. The sea route has expanded to include Tahuna, a fishing and trading center in Sangir Talaud group of islands in the province of North Sulawesi, situated in between Bitung and General Santos City. In the agreement, PT Kanaka will provide shipping services to the route with its conventional cargo-type vessel with a 120 TEU capacity. ARREE Freight Express on the other hand will handle the cargo consolidation requirements for the shipping route. “We have always looked into this route as one of the cheapest and fastest ways to transport goods from Mindanao to Indonesia, and vice versa,” said Dr. Malou Monteverde, former president of Davao City Chamber of Commerce and Industry and one of the primary proponents of the sea route. The shipping service is also seen to significantly increase trade and economic relations not just between the two countries, but in the entire Brunei Darussalam Indonesia Malaysia the Philippines East ASEAN Growth Area (BIMP-EAGA). Monteverde added that the vessel is initially expected to ply the route twice a month. Among the products eyed by Mindanao traders to export to Indonesia through the new shipping service are canned beverage, fresh and dried tropical fruits, processed coconut, corn feeds, construction supplies, meat, poultry, and fish products. Currently, sea links that connect Mindanao to Indonesia have to pass through Manila and Jakarta before reaching the provinces of North Sulawesi. Monteverde said that the new link will allow the direct exchange of goods between Mindanao and Indonesia through a less costly and more proximate route. Prior to the commencement of this route, consumer items for East Indonesia are usually sourced from Jakarta, almost a thousand nautical miles from North Sulawesi. The direct sea route is estimated to span only 350-nautical miles. Tahuna was added to the route due to the area’s strategic location and its significant contribution to trading activities. “We commend the continuous efforts of the private sector in making this route possible, which will significantly cut shipping costs and thereby allow our small and medium entrepreneurs to engage in international trading between these two points in the BIMP-EAGA,” said Luwalhati Antonino, chair of the Mindanao Development Authority (MinDA) and Philippine signing minister for BIMP-EAGA. Antonino added that the private sector-led sea route is identified as a priority route under the masterplan on ASEAN connectivity, and is seen to strongly contribute to efforts towards ASEAN integration. Currently, shipping companies that provide services to areas covered by BIMP-EAGA are given 50 percent discount on port and dockages fees as part of the incentives for serving within the sub-region. As part of the Philippine initiatives for ASEAN integration, the development of the route is also supported by various national line agencies including the Departments of Agriculture, Trade and Industry, Foreign Affairs, Transportation and Communication, the Philippine Ports Authority, Maritime Industry Authority, Bureau of Customs, including transport security offices. In a feasibility study conducted by the Japan International Cooperation Agency (JICA) in 2012, the Gensan-Bitung route was selected as one of the pilot areas for a roll-on roll-off operation within BIMP-EAGA. The study also highlighted that the route can be dedicated to a freight service once shipping service requirements are in place. Another study made by the Research Education and Institutional Development (REID) Foundation in 2010 cited that the North Sulawesi-Mindanao sea link offers strong potentials for international trade and commerce between Indonesia and the Philippines since it offers a proximate channel for the shipment of goods. “The opening of this sea route concretizes our long-running efforts to establish a shipping link between Mindanao and North Sulawesi,” said Eko Hartono, Indonesian Consul General to Davao. North Sulawesi is among the 10 provinces in the Indonesian islands of Kalimantan, Sulawesi, Maluku and Irian Jaya that are part of the BIMP-EAGA. Hartono added that once fully utilized, the sea route is seen as an impetus for the reopening of the Davao-Manado air links that revive the trade and tourism links between the two key cities in the sub-region. TANDAG CITY, April 30 (PIA) - As one of the nominees for the “Search for 100% Tobacco-Free Provinces, Municipalities, Cities, Government Officer, DOH Centers for Health Development, and DOH Hospitals,” the National Red Orchid Awards Validation Team is in Surigao del Sur today to conduct rating and scoring on the Bureau of Jail Management and Penology (BJMP) Tandag City Main Jail. According to District Jail Warden Insp. Diosdado Sombrio, the main BJMP jail in the province under his supervision is implementing the “anti-smoking program,” which placed them as one among the contenders for the prestigious DOH Red Orchid Awards. Aware of what has been done to attain the good reputation together with his personnel and inmates, the officer said that today will be the“final stage” for their attempt to get the biggest haul. He said that the evaluators are composed of representatives form World Health Organiation (WHO), Civil Service Commission (CSC), and Framework and Convention on Tobacco Control Alliance Philippines (FCAP) and Philippine Ambulatory Pedriatric Association (PAPA). BUTUAN CITY, April 30 (PIA) – Competitors from Caraga Region bagged silver and bronze medals and a Certificate of Excellence during the 2014 Philippine National Skills Competition (PNSC) held recently in Metro Manila. Romel Natad, PNSC focal person from the regional office of the Technical Education and Skills Development Authority (TESDA) in Caraga said out of the five competitors from the different provinces of the region, two were able to bag medals and one got a Certificate of Excellence. Natad said Walter Lad of Surigao del Sur State University (SDSSU) in Tandag City was proclaimed runner-up and won silver medal in the IT Software Solutions for Business, while Christian Gerongco of Agusan del Sur School of Arts and Trades (ASSAT) won bronze in the Welding. Meanwhile, Jorlex Soldevilla of AMA Computer Learning Center in San Francisco, Agusan del Sur received Certificate of Excellence. Natad explained that Certificate of Excellence is awarded to competitors who have reached the rating based on the International Calculation Standards (ICS) used in ASEAN World Skills Competition and the World Skills Competition. In a related development, Monalisa Fundar of Agusan del Norte Provincial Training Center finished 6th place while Junrel Adante of Surigao del Sur Electric Cooperative II won 10th in the Electrical Installation and Maintenance (EIM). The five competitors will be awarded with Certificate of Recognition on May 1, 2014 during the Labor Day Celebration in Caraga Region at the Activity Center of Robinsons Place-Butuan. The celebration will be spearheaded by the Department of Labor and Employment (DOLE)-Caraga. TESDA Caraga regional director Dr. Florencio F. Sunico, Jr. said the competitors gave honor and pride to the region during the PNSC… “Thus, the activity on May 1 will serve as a venue to recognize their world-class exceptional skills,” he said. In other development, TESDA will be offering health and wellness services such as massage therapy and beauty care during the activity which is dedicated to all mothers and workers. “The services that we are offering to workers and mothers are part of the pre-Mothers’ Day Celebration,” Dir. Sunico said. AGUSAN DEL SUR, Abril 30 (PIA) - Sinabi ni Pangulong Benigno S. Aquino III sa mga banyagang manunulat na inaasikaso ng kanyang administrasyon ang mga ginawang pagpatay sa media dito sa bansa sapamamagitan ng inter-agency na komitiba. Ang lupong ito ay siyang tumitingin sa mga hindi makatarungang pagpatay at pwersahang pagkawala, pagpahirap at iba pang sobra-sobrang paglabag ng karapatan sa buhay, kalayaan at seguridad ng tao, sabi niya sa magkasabay na press conference kasama si US Presidente na sina Barack Obama sa Malakanyang noong Lunes. Iniulat din ni Presidente na sa loob ng 62 na may kaugnayan sa kasong paggawa na iniimbistigahan ng grupo, 10 ay kinukonsiderang extrajudicial na pagpatay. 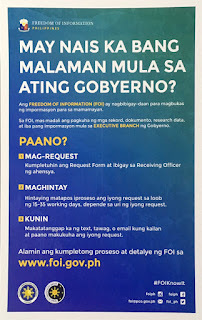 Sa sampung kaso ng extrajudicial killings iisa lamang ang nangyari sa panahon ng kasalukuyang administrasyon, kanyang paalaala. Sa parte naman ng Maguindanao na masaker ng hit sa 50 manunulat, sinabi ni Pangulong Aquino mahigit isang daang tao na ang nakasohan sa sinasabing kaso at kasalukuyang nililitis. Napuna rin niya na isa pang layunin ng kanyang pamahalaan ay ang reporma sa hudikatura kung saan siya ay nangako noong tumakbo siya noong 2010. SURIGAO CITY, Abr. 30 (PIA) – Mokabat sa 180 ka mga estudyante sa sekondarya ug kolehiyo sa nagkalain-aling mga tulunghaan sa syudad ang nahimong benipisyaryo sa Special Program of Employment for Students kun SPES. Sumala sa Surigao City Public Employment Service Office Manager Gloria Gemina gisugdan na sa maong mga estudyante ang ilang mga trabaho nga gitawag og “summer job” niadtong Abril 21 sa nagkalain-laing mga departamento o buhatan sa syudad og kini molungtad lamang hangtod Mayo 9 ning tuiga.